Size S and P are in stock and on sale. 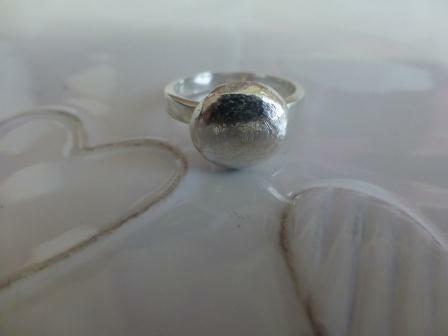 A silver ring with a single large, organic pebble shaped nugget. The nugget has been formed by the granulation process and is then textured. It measures approximately 0.75 to 1.0 cms in diameter. The ring shaft is 3mm deep. The pebble can be oxidised if preferred.